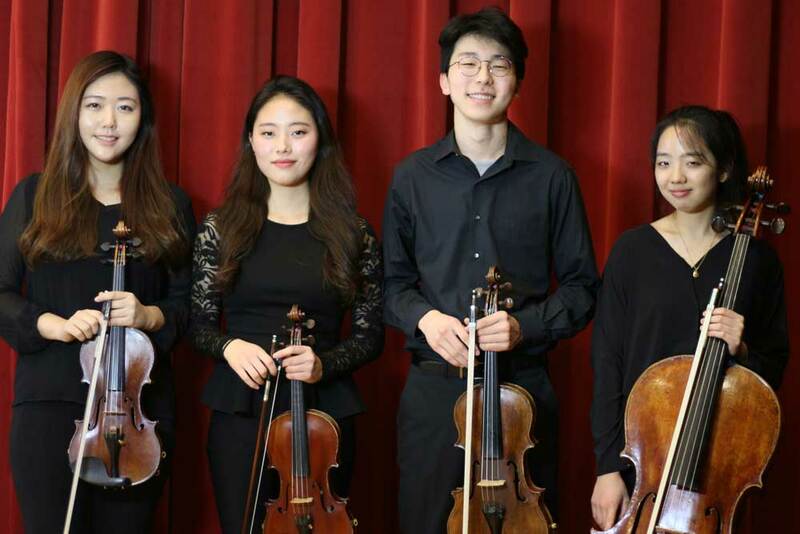 With the members Ariel Seunghyun Lee, Nikayla Kim (violins), Jenny Bahk (cello), and Yongha Jung (viola), the Bora Quartet is a student ensemble from the Juilliard School, currently under the tutelage of Roger Tapping. 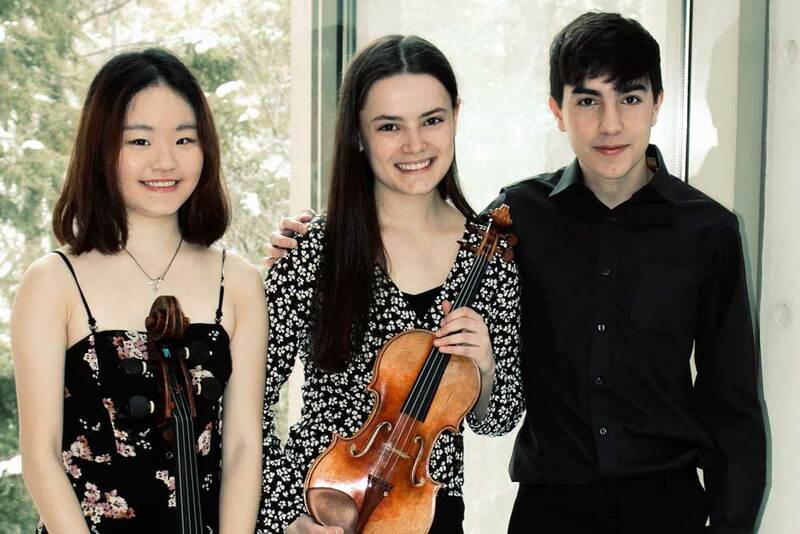 They value the importance of leadership of younger generations in the classical music world, and strive to collaborate with other musicians to spread the genre to new audiences. 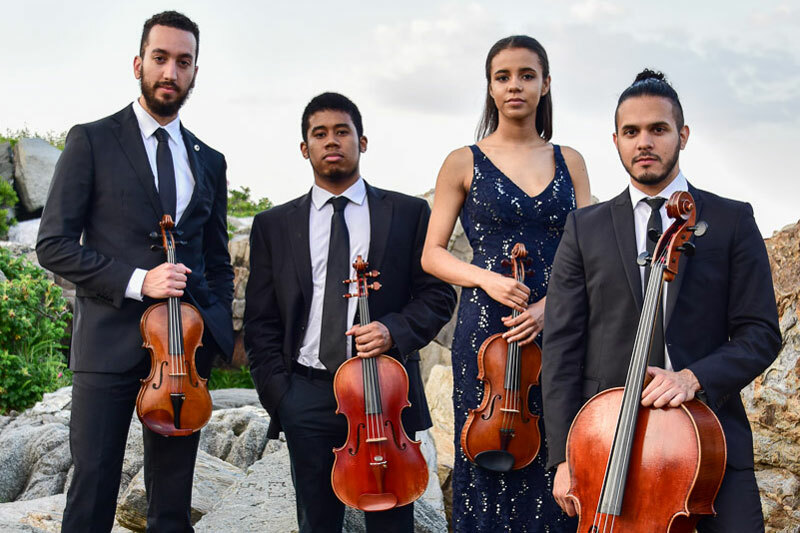 Founded in Ann Arbor, the Ivalas Quartet is composed of violinists Reuben Kebede and Anita Dumar, violist Caleb Georges, and cellist Pedro Sánchez. 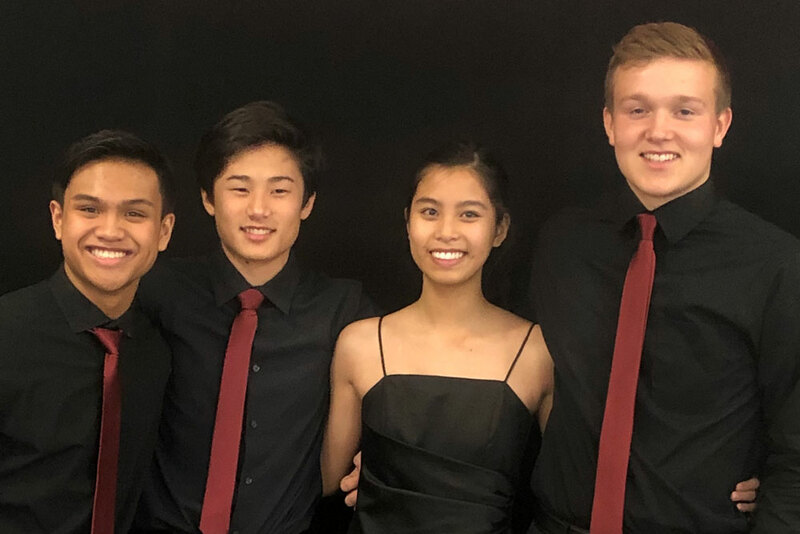 Ivalas was named the Fellowship String Quartet at the Anchorage Chamber Music Festival, where they had the privilege of coaching young chamber groups, as well as study under Ayano Ninomiya. With a commitment to community engagement, the Quartet has represented the Sphinx Organization playing for students in Flint and the Metro Detroit area. Arcus Trio’s name is inspired by the shape of an arc, that of the trio’s positioning and the arc of the musical phrases they express together. The group is comprised of Célina Bethoux, violin, Kate Huang, cello, and Leo Gevisser, piano. Its members are a part of The Cleveland Institute of Music’s (CIM) Chamber Music program and are coached by Si-Yan Darren Li and Carolyn Warner. The Dajj Quartet formed in Fall 2015 at the Chamber Music Connection, based in Worthington, Ohio, under the mentorship of Deborah Price, Artistic Director. DAJJ consists of Anna Linder and Mathias Koo, violins, Jackson Tomsic, cello, and Julian Tugaoen, viola. They enjoy rehearsing together and sharing their passion for chamber music with others through outreach concerts and special events.